In the late 1980s, Italian football was the realm of Napoli and a certain Diego Armando Maradona. Inspired by El Pibe de Oro, the Partenopei picked up two Serie A titles and won both the UEFA Cup and Coppa Italia in the club's most definitive era. In all, Maradona left an indelible mark on a football-crazed part of Italy that has never forgotten a man who is regarded as a saint in Campania. You cannot go anywhere in the football-obsessed city of Naples without seeing or hearing the Argentinean's name, even 23 years on from his last appearance in an Azzurri shirt. Yet the decade following his departure witnessed a notable decline in the club's fortunes. Relegation to Serie B happened seven years after he left and it took Napoli two years to return to the top flight, yet something was not quite the same. They no longer had the same allure and only survived one year among Italy's elite before the deterioration continued and saw them drop to the third tier following bankruptcy. On July 30, 2004, Societa Sportiva Calcio Napoli ceased to exist. Trying to evoke Maradona-mania in the modern era is ambitious president and film producer Aurelio De Laurentiis, who took control of the club under its new guise of Soccer Napoli (because the third division of Italian football would have been a slur on the club's traditional name) just over a month later. Roberto Salomone/AFP/Getty Images Napoli owner Aurelio De Laurentiis and new manager Rafael Benitez have the potential to take Napoli back to the very top. "I was in Los Angeles finishing off a film with Angelina Jolie, Gwyneth Paltrow and Jude Law when I opened up the newspaper and read that Napoli had gone bankrupt," recounted De Laurentiis at his first press conference as club president. "I didn't know anything about football. 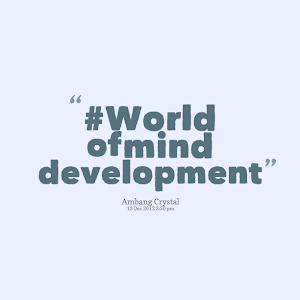 I thought systems and tactics meant how to pick lottery numbers." He returned to his Capri home, jumped on his scooter and made his way to Naples where, armed with a blank cheque, he presented the funds required to take control of the ailing club. His six numbers came up that day. The film producer is famed in Italy for his cinepanettone, or "trash movies," but there is nothing garbage about the team he has formed. In under 10 years, he has lifted Napoli back into Serie A, reinstating their traditional name once they became worthy of it, and overseen their return to the Champions League -- twice. They are now rubbing shoulders and doing deals with Real Madrid and Paris Saint-Germain rather than Avellino and Albinoleffe, and what better way to mark a decade of ownership next September than with a third Scudetto? And now, 2013-14 should be the year of deliverance. Twenty-six years since winning their first Scudetto, Napoli now seem ripe for their third. 76 million euros have been spent on new players and a reported 48.5 million euros are still in the kitty of a club bucking the trend in Italy and throwing their hat into the ring nonchalantly when the world's biggest names are being circulated. Unlike in other piazze up and down Italy, funds are not lacking in Naples -- though De Laurentiis is not funding the club out of his own back pocket. Astute signings and sales, such as Ezequiel Lavezzi and Edinson Cavani, have yielded enviable profits, while the film producer has used his media know-how to tweak the television market and ensure his club extra riches from pay-per-view preseason games. After all, Napoli fans want to watch their team no matter what the price. All that dealing has maneuvered the club into the position they occupy now, at the dawning of a new glorious era -- or at least that is the plan. It perhaps lacked the same weight as Maradona's remarks on July 5, 1984, when he stated his desire "to become the idol of the poor people of Naples because they are like I was in Buenos Aires," but the first words of new Napoli coach Rafael Benitez this summer stirred similar emotions. "We want to challenge on all fronts and be among the clubs in the hunt for the Italian title," the Spaniard announced. If he can deliver on that promise like Maradona did on his, there will soon be several more heroes in Naples. Benitez has already been declared as the club's greatest signing this summer, although Gonzalo Higuain from Real Madrid comes a close second to the former Liverpool and Chelsea coach who has a proven track record of winning trophies. Paolo Bruno/Getty Images Gonzalo Higuain is hoping to evoke the winning spirit of another famous Argentine in Napoli lore: Diego Maradona. Greeted by a delirious, packed Stadio San Paolo, the Argentinean forward has already had a taste of what his precursor in the Napoli attack felt. If he finds the back of the net on his debut against Bologna this Sunday, elated fans could create a shock wave capable of triggering an eruption of nearby Mount Vesuvius. 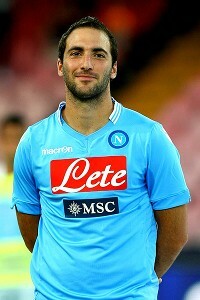 He will be joined in an Azzurri shirt by Jose Maria Callejon, Raul Albiol, Dries Mertens and Pepe Reina. With a few weeks to go before the transfer window closes, they may not even be the last new names at the club. "Napoli have made and are making their fans dream," commented Italy coach Cesare Prandelli on Sky television. "What they have done is extraordinary. They have raised the expectation levels and they win the Oscar for the best transfer dealings." Whether that will now translate into trophies is the big question. As Juventus tore Lazio apart to lift the Supercoppa on Sunday night, it became clear once again who will be the team to beat this season. The Bianconeri are still a step ahead with a team that has undergone only minor corrections this summer compared to a Napoli side which, without Cavani, have lost 29 goals from last season and have been transformed. The city of Naples can nevertheless dream that the Stadio San Paolo will be the scene of Scudetto celebrations once again in May. The legend that is Maradona never expired, it has just been waiting for a sequel, and De Laurentiis is working hard on that script to go into production over the next nine months. When Rafa Benitez went to bed on Saturday night, he had a lot on his mind. Milan might change their formation. There was a distinct possibility that they'd play with three strikers instead of two, with a playmaker in behind. "Honestly, I don't know [what they'll do]," he said. 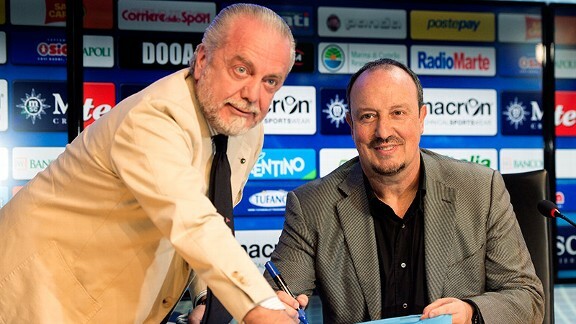 Before deciding how Napoli would set up, Benitez revealed he'd sleep on it and hablar con la almohada. "Who speaks Spanish here?" he asked at his prematch press conference. "What's almohada in Italian?" It's cuscino -- pillow. Benitez would talk with his pillow. It's remarkable what comes to you when you're asleep. "The pillow suggested the lineup to me," Benitez said with a smile the following day. "It's very intelligent." Giandomenico Mesto would play instead of the injured Christian Maggio on the right of Napoli's back four, while Blerim Dzemaili looked fresher than Gokhan Inler, so Dzemaili would partner with Valon Behrami in midfield. It might be said that Benitez could not have dreamed of a better night against Milan. But of course he could. He'd lived one. To many of those watching on Sunday, what came to mind was Istanbul, or an element of it at least. Sky Italia's presenter said to studio guest Billy Costacurta that the blackout Milan experienced in the opening six minutes of the first half of Sunday's 2-1 defeat at San Siro was the same as their blackout in the second half of the 2005 Champions League final against Benitez's Liverpool. Milan were all over the place. First, Behrami was allowed to run from inside his own half straight through the middle, exchange a pass with Lorenzo Insigne, get the ball back, and find himself one-on-one with goalkeeper Christian Abbiati, only to volley a shot over the bar. Then Cristian Zapata gave the ball straight to Marek Hamsik. Released by his teammate on the edge of the area, Gonzalo Higuain dragged an effort just wide of the post. Milan were doing the club's great tradition of defending yet another dishonour shortly afterward when they conceded from an all-too familiar scenario: a set piece. Jose Maria Callejon angled in a free kick, Raul Albiol peeled off to the far post and nodded the ball back across goal, where two Napoli players were all alone. If Miguel Britos missed the header, Hamsik was prepared to mess up his Mohawk. But he didn't have to. The net bulged. "In these opening minutes [Napoli] seemed like Sacchi's Milan," wrote Gianni Mura in La Repubblica, a huge compliment for a disciple of his like Benitez. "They played from memory, at a very high rhythm." One of football's paradoxes, though, is that sometimes teams need to fall behind before they start playing, and that was the case with Milan on Sunday night. "Apart from the first 10 minutes, it was the best game of the season for us," coach Max Allegri argued. Before the game, he'd told Mario Balotelli that, in light of the fact he'd be playing in front of Napoli's president Aurelio De Laurentiis, a film producer, it was time he became a leading man, not a supporting actor. The nuance here was that, until now, the 23-year-old has never played a full season as a starter for a club. Can he play at a consistently high level three games a week? Not if he's suspended, he can't, which we'll get to in a moment. GettyImages Mario Balotelli missed a penalty and was sent off in Milan's defeat to Napoli. In many respects, this encounter wasn't so much Milan versus Napoli as Balotelli versus Napoli. He worked Pepe Reina twice before halftime and, like the rest of his team, felt they deserved a penalty after Juan Camilo Zuniga bundled over Andrea Poli in the area. Balotelli would eventually get his chance from the spot, but not before Higuain had doubled Napoli's lead eight minutes after the interval when he received a throw-in, cut inside and then sneaked a shot that Abbiati really should have saved inside the near post. Lamentably, there was no Decibel Bellini, the San Paolo stadium announcer, to call out "GON-ZA-LO" or a home crowd to respond "HI-GUA-IN" over and over again, as there had been in Napoli's 2-1 victory over Borussia Dortmund in the Champions League on Wednesday, but it was a great feeling for the No. 9, not least because it brought an historic triumph closer. With four goals in his last four games for his new club, Higuain has made supporters forget Edi Cavani in a hurry. The game, however, wasn't yet beyond doubt. Held in a full nelson by Britos and clattered by Albiol inside the box, Balotelli was awarded a penalty. He'd never missed, scoring each and every one of his last 21. In addition to death and taxes, Balotelli converting from the spot had come to be considered as one of life's certainties. But Reina, who saved seven penalties from nine at Villarreal in the 2003-04 season, had done his homework. For 20 minutes prior to Sunday's game, he sat down with Napoli goalkeeping coach Xavi Valero and analysed Balotelli's technique. They discovered a pattern. When Balotelli halts his run-up, he tends to go one side. When his run-up is fluid, he tends to go the other. The variable is whether the keeper moves or not before he kicks it. Reina didn't, instead staying concentrated on his line. And so, from the tells he'd been told to look out for, he went right and made a save that left no one in any doubt that this was to be Napoli's night. Balotelli, though, wasn't done yet. He hit the bar with a wonderful hooked shot, forced Reina to tip another of his efforts over for a corner, and eventually pulled one back with a curler from outside the box that crept inside the post. Perhaps feeling he should have had another penalty after Mesto went through the back of him, Balotelli lost his temper at full time, taking his shirt off and getting in referee Luca Banti's grill. Already booked, he was shown a red. The reaction in Monday's papers was measured. "Yes, we know he missed the pen and was sent off," wrote La Gazzetta dello Sport, "but the game against Napoli showed that without Balotelli this Milan would end up in the bottom half of the table." With Stephan El Shaarawy injured and yet to replicate the sort of form he showed in the first half of last season, there's certainly some truth to that. Milan are only a point better off than at this stage a year ago and are already eight points adrift of the leaders, but it's early and with the run they went on from October to May in 2012-13 still fresh in the memory, judgment should be reserved. As for Napoli, this was a night to savour. A week after finding themselves alone at the top of the table for the first time since the Diego Maradona era, and just days after overcoming a German team for the first time since the 1989 UEFA Cup final, they also beat Milan at San Siro for the first time since April 13, 1986. That's quite the trifecta. Coincidentally enough, the score on that day 27 years ago was also 2-1, a Maradona goal not too dissimilar to Higuain's separating the two sides. Napoli has been matched stride for stride so far by Rudi Garcia's Roma, who notched their fourth win in a row with a victory in the derby against Lazio on Sunday afternoon, making this their best start to a campaign since 1960. The centre of power in Serie A, at least for now, has changed from the north to the centro-sud or centre-south. Will the shift endure? That is the question. One imagines Juventus will have a thing or two to say about that. But a shuffle in the pack of contenders certainly captures the imagination. Curiously, this is also the first time in 44 years that teams coached by two foreign managers have led the way in Serie A at this stage of the season. Benitez can sleep easy. Dreams of leading Napoli to a first Scudetto since 1990 must cross his mind. Who knows, it might be through more pillow talk over the course of the season that he comes to figure out how they can win it. *All-in roundtrip fares. Student fares available, with additional baggage allowance. Terms&Conditions apply. For more info, contact our KLM Telephone Reservation at +603 7712 4555 (Mon-Fri, 08:30-17:30). *All-in roundtrip fares. Fares shown subject to change due to currency exchange fluctuations. Pasukan polis memperolehi lima buah pesawat Beechcraft King Air 350 dengan kos US$58.25 juta (RM175.24 juta) untuk kegunaan unit udaranya. Pesawat berkenaan bertujuan untuk menaiktaraf keselamatan udara negara. Bagaimanapun, dalam tempoh lima tahun kegunaannya, sebuah daripada pesawat berkenaan tidak dibenarkan terbang dalam tempoh lapan bulan, di antara September 2011 hingga April 2012. Sebuah lagi tidak boleh digunakan di antara Jun dan November 2012. Hanya tiga buah daripada lima yang dipesan itu telah diterima setakat ini. Projek itu dianugerahkan selepas rundingan terus dengan Hawker Pacific Airservices Ltd, melalui ejennya, EZ Aviation Sdn Bhd. Kementerian dalam negeri melaporkan bahawa pesawat berkenaan tidak dapat digunakan kerana peruntukan kewangan yang tidak mencukupi. Ia juga menyebut, Pasukan Gerakan Udara akan menggunakan bahagian pesawat yang tidak digunakan bagi alat ganti untuk pesawat lain. Laporan Ketua Audit Negara menyebut, kesemua pesawat pasukan tersebut sepatutnya berada dalam keadaan selamat untuk kegunaan setiap masa. Ia turut menemui kelemahan dalam proses penyediaan dan perancangan, yang menyebabkan unit berkenaan terpaksa bergantung kepada syarikat swasata bagi penyelenggaraan pesawat berkenaan. Laporan Ketua Audit Negara menyarankan agar tindakan segera diambil bagi memastikan unit berkenaan menjadi organisasi yang dapat menyelenggara pesawatnya sendiri berdasarkan piawai yang ditetapkan. Ia turut mendapati tiga pesawat berkenaan hanya merekodkan penerbangan selama 43 jam untuk memantau jenayah dan 89 jam untuk ketenteraman awam antara 2010 hingga 2012. Ia didapati lebih banyak digunakan untuk sokongan operasi dan latihan, masing-masing melibatkan 2,223 jam dan 672 jam. Jumlah masa ini didapati tidak memadai dengan tujuan pembelian dan penyelenggaraannya, menurut laporan itu lagi. Kementerian Dalam Negeri dalam jawapannya menyebut, kewangan unit udara tersebut terhad dan ia mendapatkan peruntukan tambahan berjumlah RM194.75 juta untuk penyelenggaraan pesawat berkenaan pada November 2012. Laporan Ketua Audit Negara juga mencadangkan agar juruterbang dan jurutera disediakan secukupnya untuk mengendalikan pesawat terbabit bagi memastikan ia digunakan dengan optimum. Keputusan Kementerian Kesihatan menggelar perokok sebagai golongan “bodoh” dalam bahan promosi kempen menyebabkan RM38,750 terbuang apabila bahan tersebut didapati tidak sesuai. Laporan Ketua Audit Negara 2012 mendapati kementerian tersebut membuat pesanan bagi 300 beg galas dengan kos RM19,500 dan 3,500 buku nota pada harga RM19,250 dengan slogan 'Smoking, a stupid habit for stupid people (Merokok, satu tabiat bodoh untuk orang bodoh)'. Bahan tersebut bagaimanapun tidak diedarkan kerana bahasa yang digunakan itu dianggap tidak sesuai, menurut laporan berkenaan. Tapi bukan itu sahaja, laporan itu menyebut sebanyak 63,000 kempen kementerian terbabit, berjumlah lebih RM31,200 juga mengandungi kesalahan ejaan. Ketua Audit Negara menasihatkan kementerian tersebut untuk menggunakan bahasa lebih mudah dalam kempennya, dengan mengambil contoh satu kempen papan iklan bagi memerangi AIDS yang menggunakan terjemahan langsung dari bahasa Inggeris. Laporan itu mendapati, terjemahan berkenaan – “Ke arah eliminasi transmisi vertikal” – sukar difahami dalam bahasa Melayu. Menurut laporan itu lagi, penggunaan bahasa seperti itu menjejaskan keberkesanan kempen kesihatan tersebut. Frasa yang dimaksudkan itu sepatutnya merujuk kepada jangkitan oleh ibu kepada anak. Kementerian berkenaan dalam jawapannya menyebut, satu pasukan redaksi dilantik untuk memeriksa kesemua bahan kempennya dan akan turut mendapatkan nasihat Dewan Bahasa dan Pustaka. Bekalan makanan kering untuk Tentera Laut Diraja Malaysia yang tamat tempoh selama hampir setahun didapati masih disimpan di stor pasukan berkenaan sehinggalah dikesan oleh Jabatan Audit Negara. Laporan Ketua Audit Negara 2012 menyebut, rangsum itu termasuk kiub pati ayam dan cuka, yang tamat tempoh pada September 2011 tetapi masih disimpan di stor tersebut pada Julai 2012. Menurut laporan itu, bekalan itu juga disimpan dengan tidak baik dan berisiko menyebabkan keracunan makanan kepada anggota tentera laut. “Kebersihan rangsum di Wisma Samudera terjejas kerana terdapat serangga perosak di dalam bungkusan agar-agar dan serbuk kari yang boleh mengakibatkan keracunan makanan. “Manakala di KD Sultan Badlishah, bungkusan agar-agar dan mihun terbuka serta terdedah kepada serangga perosak sekali gus menjejaskan kualiti rangsum tersebut. “Selepas teguran Audit, tindakan serta merta telah diambil seperti menyusun, mengemas dan membersihkan stor pengguna tersebut,” laporan itu dipetik. Makanan yang tamat tempoh itu juga dilupuskan selepas audit dijalankan tahun lalu, menurut laporan itu lagi. Dalam laporan tersebut, Jabatan Audit menasihatkan Kementerian Pertahanan agar memastikan rangsum yang dipesan bagi TLDM itu ditanda dengan baik bagi memastikan tarikh luputnya masih dapat dibaca. Ia juga menyatakan, kementerian menandatangani kontrak dengan nilai lebih besar daripada yang diperlukan dalam bekalannya. Laporan Ketua Audit Negara 2012 mendedahkan salah pengendalian teruk sehingga RM2.051 bilion dalam mengupah kontraktor keselamatan untuk sekolah antara 2010 hingga 2012. Daripada penyediaan kontrak sehingga mengambil pengawal keselamatan, ketua audit negara berkata, pengurusan perkhidmatan keselamatan di 35 sekolah dan asrama yang ditinjau rata-rata tidak memuaskan. Audit, yang melibatkan sekolah-sekolah di Selangor, Perlis dan Sabah, mendapati bahawa kontraknya tidak seragam. Tidak dinyatakan juga keperluan khusus yang ditetapkan oleh Kementerian Pendidikan. Ini termasuk, pelaksanaan sistem jam jaga, bagi memastikan dua pengawal bertugas untuk satu-satu masa dan spesifikasi kamera CCTV dan sistem penggera. Datuk Bung Moktar Radin, yang terkenal dengan keberaniannya di Parlimen juga mungkin menyimpan sedikit rasa 'takut' terhadap peningkatan kadar jenayah di negara ini. Anggota Parlimen Kinabatangan itu berkata, ia menyebabkan dia memilih membawa senjata api bersamanya untuk tujuan keselamatan, walaupun berat. Bung mendedahkan perkara itu semasa sesi perbahasan berkaitan cadangan pindaan Akta Pencegahan Jenayah di Dewan Rakyat hari ini. "Saya bertekad dengan diri saya, daripada mati ditembak, bagus mati bertembak," katanya. New Jersey has been added to a 22-race calendar for 2014 after a meeting of the FIA World Motor Sport Council (WMSC) confirmed the dates of next year's races. The Grand Prix of America in New Jersey will be part of a triple-header, nestled between the Monaco Grand Prix and the Canadian Grand Prix. However, it is provisional on the calendar and subject to a track inspection along with the Mexican Grand Prix, while Korea remains provisional as well due to contractual reasons. Other changes to the draft calendar leaked earlier this month include the Malaysian Grand Prix moving back a week and becoming a double-header with Bahrain while China and the provisional Korean GP go back-to-back. The Russian Grand Prix also switches places with Japan so the two races now form a double-header and the Abu Dhabi Grand Prix stands alone.